Crafted from lustrous silk-blend lamé, this golden hued cutout halterneck gown is pleated for movement and to enhance the shine of the fabric. Simple sandals and jewelry are all you need to complete the outfit. 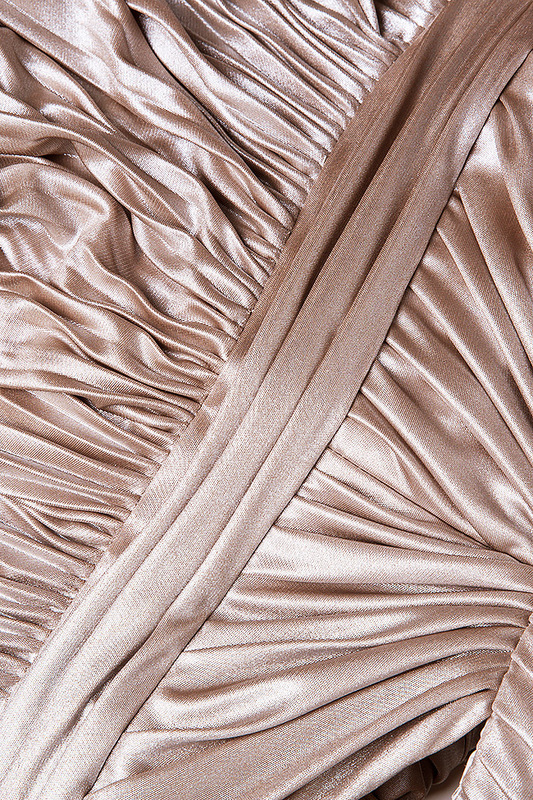 Material: 80% silk, 20% viscose.